// skipped constructor & etc..
Do you mean swagger.json? It is the same one in both cases. 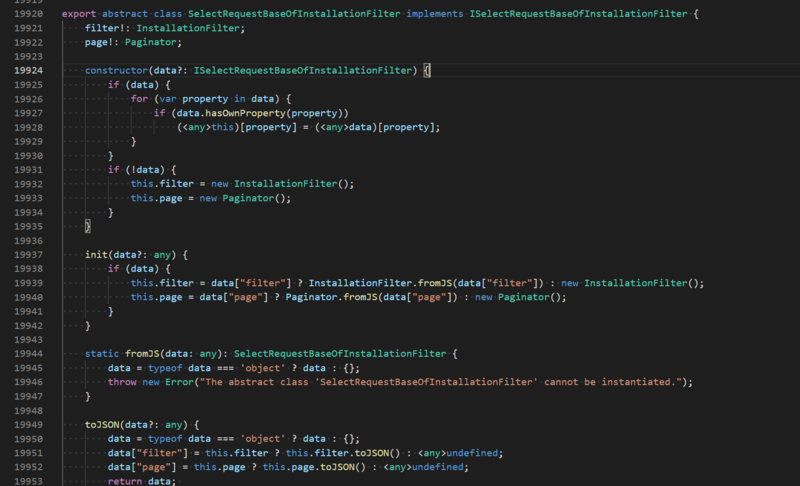 In some reason filter property is not initialized. Can you post the declaration of the filter property and filter schema of your spec or the whole spec? I'v gave you wrong swagger definition! Here is one, where the problem is reproduced (this is to the same API but generated with newer NSwag version).